William Burfitt will join National University as vice president for development. San Diego, Calif. – William Burfitt, a proven fundraising professional who has led highly-effective fundraising and development campaigns over the past two decades on behalf of some of the San Diego County region’s most notable institutions such as University of California, San Diego and The Scripps Research Institute, will join National University June 12 as vice president for development. Mr. Burfitt comes to the private, nonprofit National University after serving as executive director of development at UC San Diego’s Jacobs School of Engineering since 2014, where he oversaw a team that raised about $20 million annually, and also led the school’s $225 million fundraising campaign while personally securing several seven-figure gifts to support the school’s various initiatives. He previously served from 2010-2014 as director of the office of philanthropy with The Scripps Research Institute, which is the second-largest independent bio-medical research organization in the world. He held various roles in his 12 years at The Scripps Research Institute, including director of annual giving and major gifts, acting director of corporate and foundation relations, and the director of the office of philanthropy. 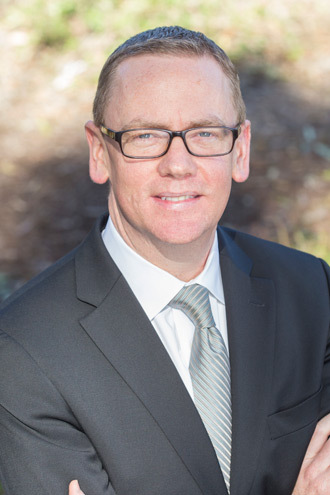 As director of the office of philanthropy, he oversaw all aspects of fundraising at the institute’s California campus, which included the departments of planned giving and major gifts, corporate and foundation relations, annual giving, marketing, special events and database and technology services. The newly created development position allows for National University to build out a strategic philanthropic approach distinct to its mission and future goals, which includes identifying new ways to personalize the education experience. It builds on previous successful philanthropic outreach efforts, such as the recent $28 million dollar donation from philanthropist and entrepreneur, Mr. T. Denny Sanford, to the National University System. That donation is focused specifically on the national expansion of three educational programs, based on Mr. Sanford’s vision, and aimed at K-12 and the nonprofit sector: Sanford Harmony, Sanford Inspire and the Sanford Institute of Philanthropy. Mr. Burfitt will serve as a regular presenter with the Sanford Institute of Philanthropy, which provides educational programs for frontline nonprofit fundraisers. Mr. Burfitt, who started his fundraising career at Scripps Health in La Jolla, Calif., has successfully coordinated philanthropic outreach efforts yielding tens of million dollars annually on behalf of health care, medical research and higher education causes. He has been committed to serving his community through his participation on various boards and committees in San Diego County, including the ARCS Foundation; I Love A Clean San Diego; San Diego Community Action Partnership; Scripps Research Institute Green Team; the Crohn’s and Colitis Foundation of America; and San Diego Mesa College Foundation.